How can we find out the truth hidden in the Tabernacle? Only by knowing the gospel of the water and the Spirit, the real substance of the Tabernacle, can we correctly understand and know the answer to this question. 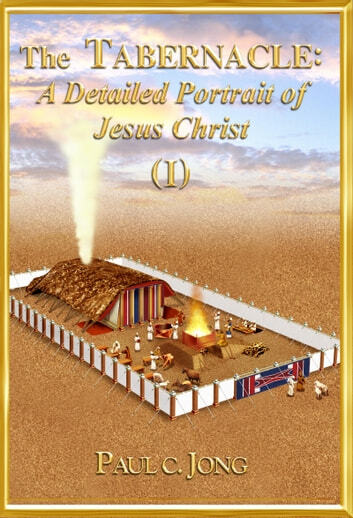 In fact, the blue, purple, and scarlet thread and the fine woven linen manifested in the gate of the Tabernacle's court show us the works of Jesus Christ in the New Testament's time that have saved the mankind. In this way, the Old Testament's Word of the Tabernacle and the Word of the New Testament are closely and definitely related to each other, like fine woven linen. But, unfortunately, this truth has been hidden for a long time to every truth seeker in Christianity. Coming to this earth, Jesus Christ was baptized by John and shed His blood on the Cross. Without understanding and believing in the gospel of the water and the Spirit, none of us can ever find out the truth revealed in the Tabernacle. We must now learn this truth of the Tabernacle and believe in it. We all need to realize and believe in the truth manifested in the blue, purple, and scarlet thread and the fine woven linen of the gate of the Tabernacle's court. Sermons on the Gospel of Matthew (III) - Which Gospel Perfects Christians? SERMONS ON THE GOSPEL OF MATTHEW (I) - WHEN CAN A CHRISTIAN HAVE AN INTIMATE CONVERSATION WITH THE LORD? Sermons on Genesis (VII) - Those Who Possess Abraham's Faith. Sermons on the Gospel of Luke(III) - Shouldn't the Real Reformation be Launched by Believing in the Gospel of the Water and the Spirit? The Gospel of Matthew (VI) - Who Are Presented with The Best Life? Sermons sur la Hébreux (I) - Comment pouvez-vous fortifier votre foi? Sermons on the Gospel of Luke(II) - What is the Spiritual Faith? SERMÕES NO EVANGELHO DE LUCAS (III) - A VERDADEIRA REFORMA NÃO DEVERIA SER FEITA PARA QUE TODOS CRESSEM NO EVANGELHO DA ÁGUA E DO ESPÍRITO? Sermons on the Gospel of Luke(I) - For Whom was Jesus Christ Born? SERMONS ON THE GOSPEL OF MATTHEW (II) - WHAT DID WE BELIEVE TO RECEIVE THE REMISSION OF SINS? Sermons on the Gospel of John(IV) - Have You Met Jesus With The Gospel Of The Water And The Spirit? SERMÕES NO EVANGELHO DE LUCAS (II) - O QUE É A FÉ ESPIRITUAL? Sermons on the Song of Solomon: Are You Now Living As the Object of God's Affection? Sermons on Hebrews (II) - Do You Know The Intention Of The Author Of The Book Of Hebrews?